Processing equipment, containers and large tanks in many industries required industrial water immersion heaters for heating up the water to the desired temperature. Utilizing direct heat transfer, these heaters can work on both small scale and large scale levels. Noted among the eminent Industrial Water Immersion Heater Manufacturers In Delhi, Sunrise Products is delivering top-quality immersion heaters for several years now. 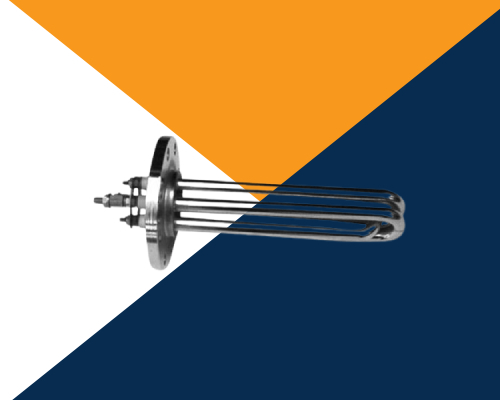 Fast heat up time, minimal maintenance requirements and variety of specifications make our Water Immersion Heater one of the most demanded in the industry. So, if you require rapid heating in processing your material, these water heaters will be ideal for you. Easy To Maintain - The solid construction and intelligent design of these heaters make them quite easy to maintain. Uniform Temperature - They provide uniform heating by maintaining the temperature at a particular level. Rapid Heating - These heaters recognized for their rapid heating qualities owing to the highly conductive material used in their manufacturing. Our company is counted among the reputed Water Heater Exporters and Suppliers in India. Buy our Immersion Heater by dropping an email to us with your requirements.